A few years back one of us had the bright idea that if we had our own barge capable of lifting 3,000-lb mooring blocks we could service all of our moorings and save the cost of annual diver services. We envisioned an economical, nothing fancy (think cheap), 16 ft. by 7.5 ft. flat bottom barge, hull depth 18 inches with a center opening, designed for plywood construction. 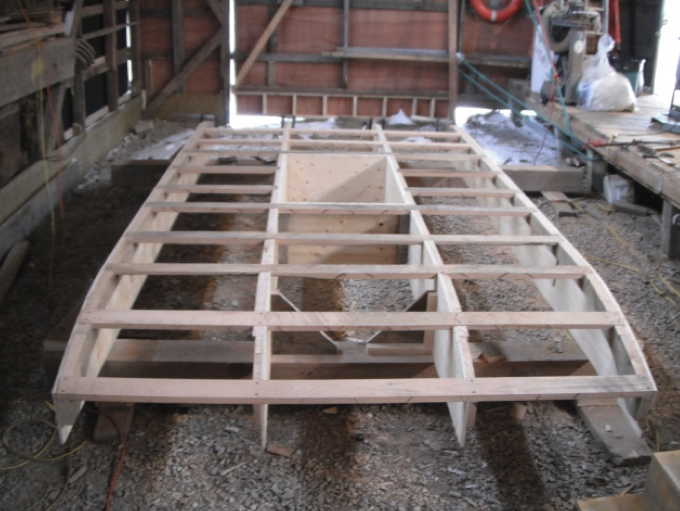 Construction material was ½” construction grade plywood for the hull, ¾” for the deck with oak chines, athwart ship stringers and longitudinal stiffeners. Construction was started bottom up on a frame of 8” x 8” timbers. Once the bottom fastened, epoxy coated and painted it was time for roll over. 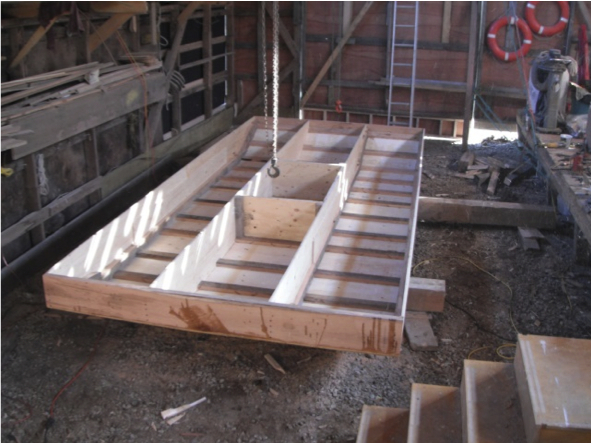 It soon became evident that this barge platform would make a dandy shanty boat/house boat hull. With internal water and sewage tanks, a nautical looking cabin on top anchored in a snug cove; a person could have a great summertime water front property for little cost. Out the door she went on a sunny April day. A steel lifting frame to support the 5 tonne winch was bolted on. 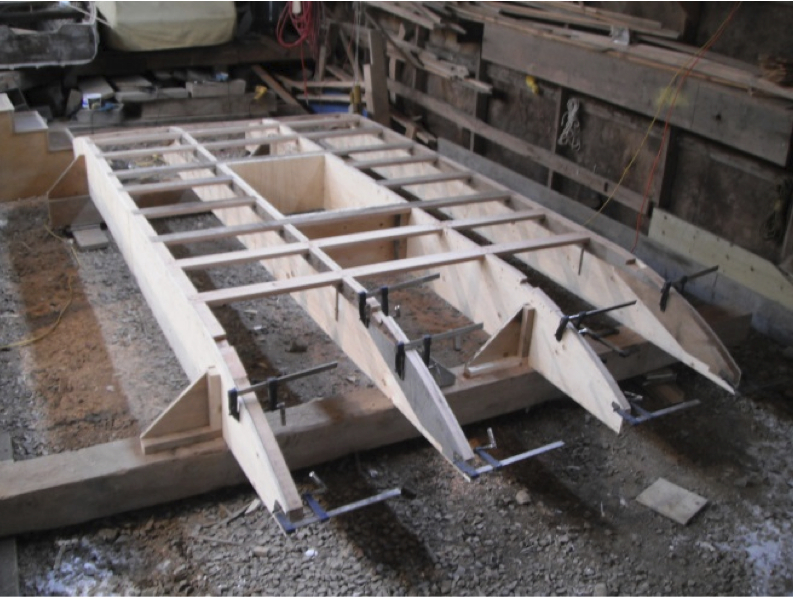 We fitted an outboard bracket and use an 8-hp Evinrude for propulsion on near harbour work. For longer trips she is towed. This little craft has opened a whole new business line for us. We now offer a complete mooring placement, inspection and renewal service. An added plus – she is trailerable. Rough and dirty work for sure and she doesn’t look this bright now; but she was built to take it.